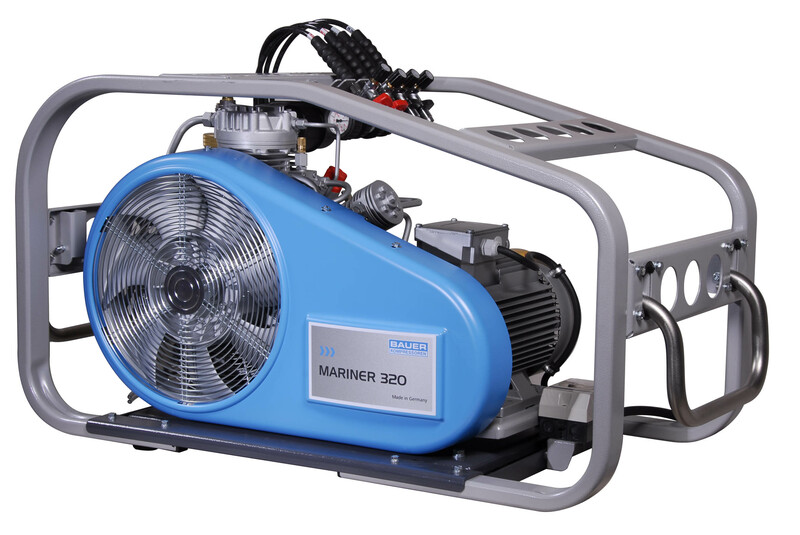 The Mariner 320 compressor is one of the most powerful mobile compressors available worldwide. With maximum FAD combined with minimum space requirements, the Bauer Mariner 320 sits firmly at the top of the PROFI-LINE II range. Available in electric or petrol version and equipped with four filling hoses in the standard scope of supply. Version for up to 420 bar also available.